"La Seduction: How the French Play the Game of Life". What I would do if I was in Paris tonight! When you take a close look at the photo, do you notice any difference between the land behind the red and white sign and the land in front of it? 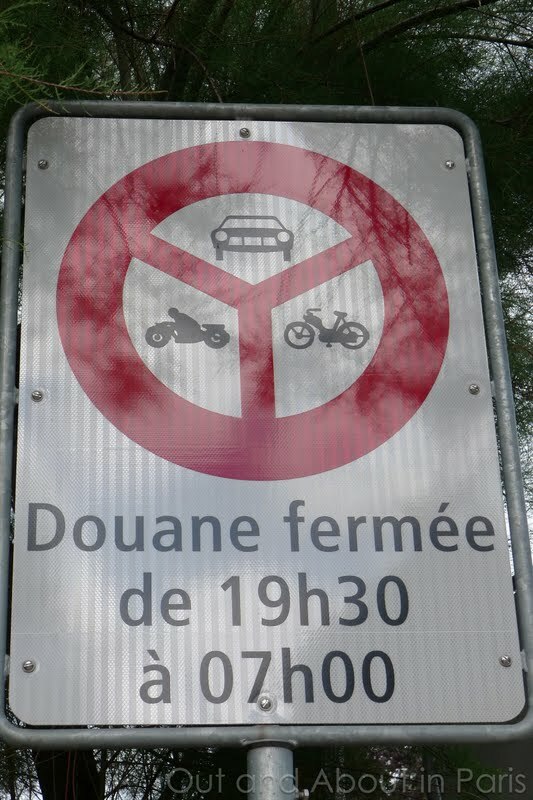 I don't either, but for some reason the sophisticated English lady who rides around in the car with me always says, "Welcome to France" in a cheery voice whenever we pass the sign. Since she doesn't talk that much other than to give me directions to the grocery store or to the closest gas station, I think that my GPS voice has figured out that I've developed a special feeling for France. It's really home! France is a seductive country, seductive in its elegance, its beauty, its sensual pleasures, and its joie de vivre. Elaine Sciolino presents La Seduction in which she shares her observation that seduction is much more than a game to the French: it is the key to understanding France. Elaine Sciolino is the author of the award-winning book Persian Mirrors: The Elusive Face of Iran. She is a Paris correspondent and former Paris bureau chief for The New York Times, having previously served as the newspaper’s chief diplomatic correspondent and UN bureau chief. In 2010, she was decorated a chevalier of the Legion of Honor. She has also been a foreign correspondent for Newsweek, based in Paris and Rome. She lives in Paris with her husband. Read a review of La Seduction: How The French Play the Game of Life in The New York Times. If you're able to attend this author event, please let me know. I would love to hear about it! 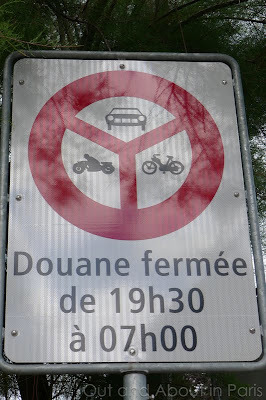 The unmanned border between Switzerland and France is closed between 7:30 pm and 7:00 am. I remember seeing reviews for this book, probably in the Times. It was all about kissing the hands, and politics. And avoiding being a cad or scoundrel. Oh, I couldn't find much of a difference in the photo either, and I was looking closely. I expected the hyper-sterile cleanliness of Switzerland to be more than self-evident, but alas, not here. 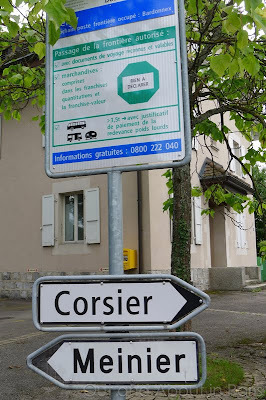 Nope, there really isn't any difference between Switzerland and France at this particular border, which is why it's so funny to hear my GPS say "Welcome to France" (in a very English accent) as if I should immediately notice that I'm in a different country. Since I wasn't able to listen to Ms. Sciolino talk about La Seduction..., I'll have to buy her book if I want to understand more about the French. It seems, however, that her assertions are more relevant for the upper class than for the average French person. Carol, I'm sure that I'm going to feel really stupid as soon as I hear the answer, but what is POW? Prisoner of War, Pictures on Walls, Paris on Wheels? Perhaps the clue is in the names of the movies that you watched... In any case, I'm intrigued. After reading your enthusiastic comments about La Seduction, I'm even more disappointed that I wasn't in Paris last night. I'll have to buy a copy of Ms. Sciolino's book ASAP!